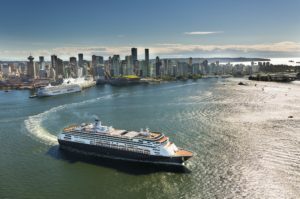 Located in a naturally beautiful setting on Canada’s west coast, the Port of Vancouver is Canada’s largest port. The Vancouver Fraser Port Authority’s role is to responsibly facilitate Canada’s trade through the port. We work together with port terminals and tenants to ensure the efficient and reliable movement of goods and passengers, integrating environmental, social and economic sustainability initiatives into all areas of port operations. Located on the southwest coast of British Columbia in Canada, the Port of Vancouver extends from Roberts Bank and the Fraser River up to and including Burrard Inlet. The port is Canada’s largest, supporting trade with more than 170 economies around the world. With the most diversified range of cargo of any port in North America, the port operates across five business sectors: automobiles, breakbulk, bulk, container and cruise. In 2018, 147 million tonnes of cargo moved through the port, valued at $200 billion. Almost 95 per cent of the port’s total volume serves Canadian import and export markets. Many different enterprises operate in the port including cargo and cruise terminals, industries requiring tidewater access, shipyards, tugboats, railways, trucks, shipping agents, freight forwarders, suppliers, builders, and administrative agencies. The port is home to 27 major marine cargo terminals, three Class 1 railroads, and a full range of facilities and services to the international shipping community. Deep-sea terminals provide Super Post-Panamax capacity and extensive on-dock rail facilities with virtually no draft restrictions. Freshwater facilities offer integrated services for the automobile and coastal forest industries, and for short-sea shipping. The Canada Place cruise terminal at the Port of Vancouver serves as homeport for the Vancouver-Alaska cruise industry. The Vancouver Fraser Port Authority is responsible for the stewardship of federal port lands in and around Vancouver, British Columbia. 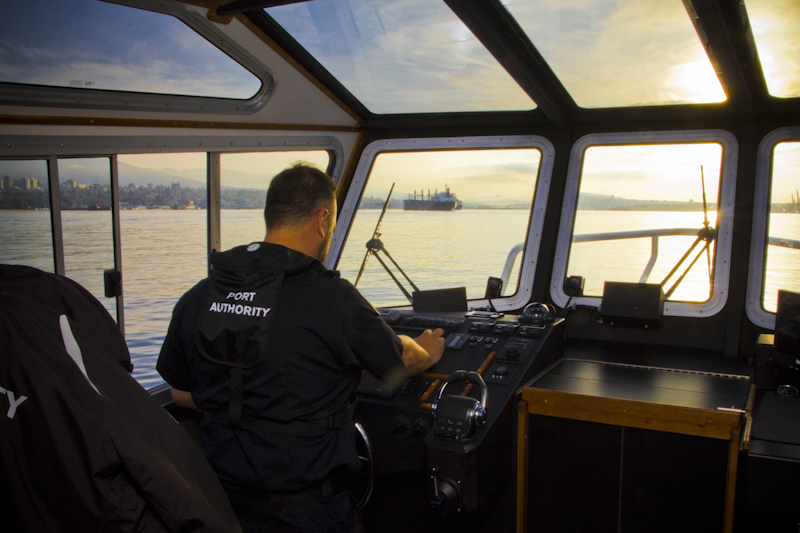 Like all Canada Port Authorities, the Vancouver Fraser Port Authority is established by the Government of Canada pursuant to the Canada Marine Act, and accountable to the federal minister of transport. 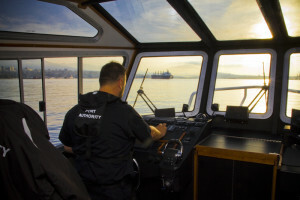 The port authority manages over 16,000 hectares of water, more than 1,000 hectares of land and approximately 350 kilometres of shoreline, bordering 16 municipalities and intersecting the asserted and established traditional territories and treaty lands of several Coast Salish First Nations. Our mandate is to facilitate Canada’s trade objectives, ensuring goods are moved safely, while protecting the environment and considering local communities.